One of the most fun parts of decorating and home décor shopping comes from getting to choose new colors, working with pre-existing palettes, or buying something completely different from what was there before. 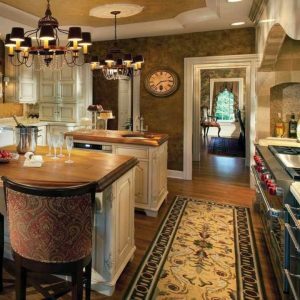 Whether you are decorating the kitchen in your first home, or you’ve renovated your current kitchen and are looking to add something to make it look more inviting, a kitchen rug would make a wonderful addition. The first thing you have to decide on is where you want to place the rug. Once you’ve done that, you then have to figure out what dimensions will look good in that space. Measurements save heartache and hassles. We know we’ve said this before, but as always, measure your space before you get your heart set on a rug, and then you find it won’t fit. If you’re looking for a small, flat mat to place in front of your sink, the standard size is 2’ x 3’. You could also play with rug shape and choose an elongated oval or large circle, as opposed to the more “traditional” rectangle. While any shape will go well here, you absolutely must measure the space where the rug will go to make sure it will fit where you want it to. If your kitchen is designed with a long, narrow galley-way, you could choose to place a colorful runner in that space. Some of the best fibers for a kitchen rug are synthetics, or a mix of natural and synthetics. Why? Synthetics such as nylon, polyester, and polypropylene are hard-wearing, easy-care man-made fibers that can take all the abuse that a busy kitchen can dish out. A smaller rug will fit easily in your washing machine. If you prefer Oriental style rugs, it is better to choose a style that has a nice, flat weave. 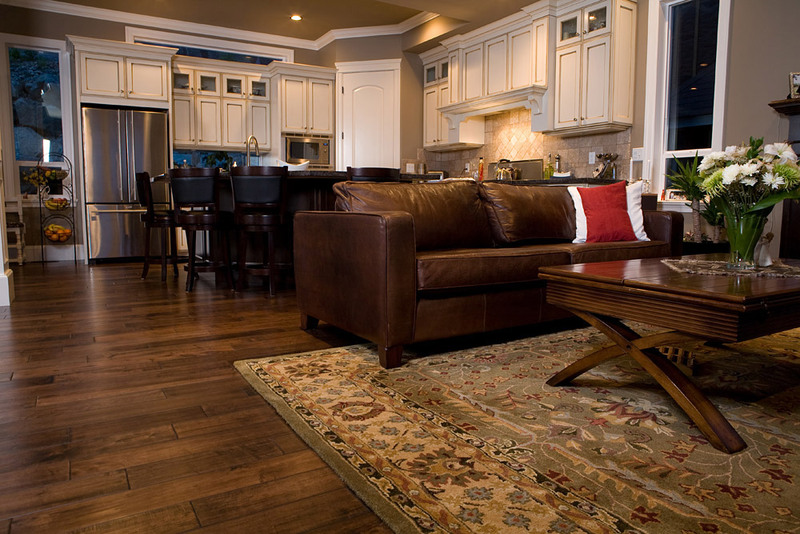 Oriental rugs with longer piles may not be the best choice for the kitchen because food spills are inevitable and this can get embedded deep in the pile of the rug, damaging the fibers. Also, rugs with longer piles are more difficult to keep clean. If you have recently renovated your kitchen, color is important to you. Make sure you choose a color that you love and that is harmonious with the overall color scheme and design of your kitchen. 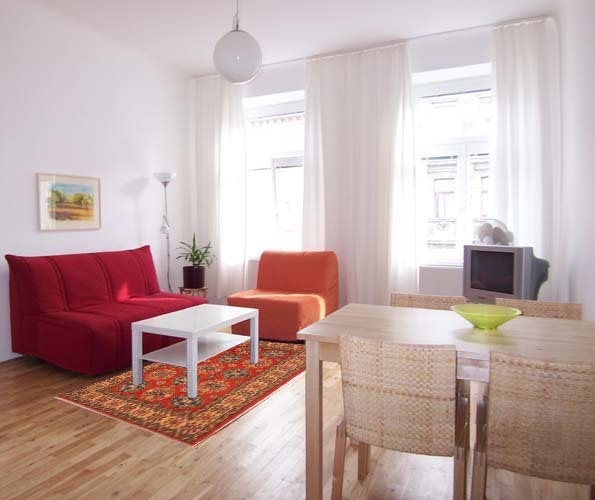 Ideally, you should not choose a rug in a lighter color for your kitchen as these tend to show stains more easily and will start to look unkempt in no time at all. If your overall kitchen is in a lighter color palette, you can find darker hued, multi-colored rugs that still go well with the rest of the décor. Choose a rug that blend harmoniously with the overall color scheme and design of your kitchen. Kitchens tend to get slippery, either through water, oils, or grease. 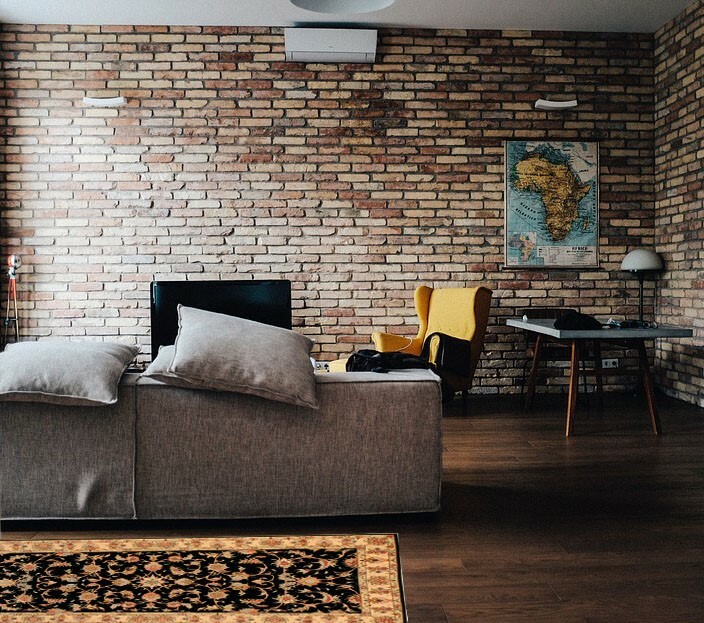 To keep your rug from slipping and to keep your feet comfy during prep work, find a good rug pad that adds a little bit of spring, but that also has a non-slip backing. Enjoy shopping for your new kitchen rug. We hope you’ll find something you’ll love!